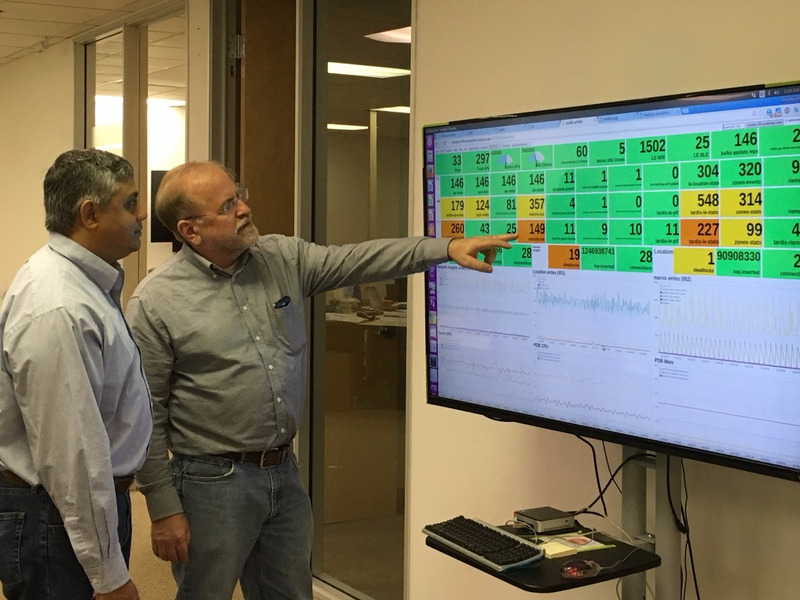 Two former Cisco execs are building a new kind of wireless network so fast and smart that it knows where you are and automatically presents you with the apps you might need. When you’re attending a conference, staying at a hotel, or browsing a big mall, there are often specialised apps that can make your experience better. But if you knew they existed, you would have to download them before visiting the place. And, even if you did, you’d have to go through the annoying process of hunting down the password for a new, specific wireless network in order to use them. That’s where Mist comes in. 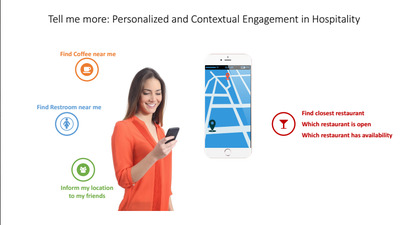 Once you opt in, Mist automatically connects you to any of its networks and uses a technology called virtual Bluetooth Low Energy (vBLE) to track your location and send you any apps or information that might be applicable to your situation. This could be a list of sale items at a store or a selection of hotel services as soon as you walk in the door. 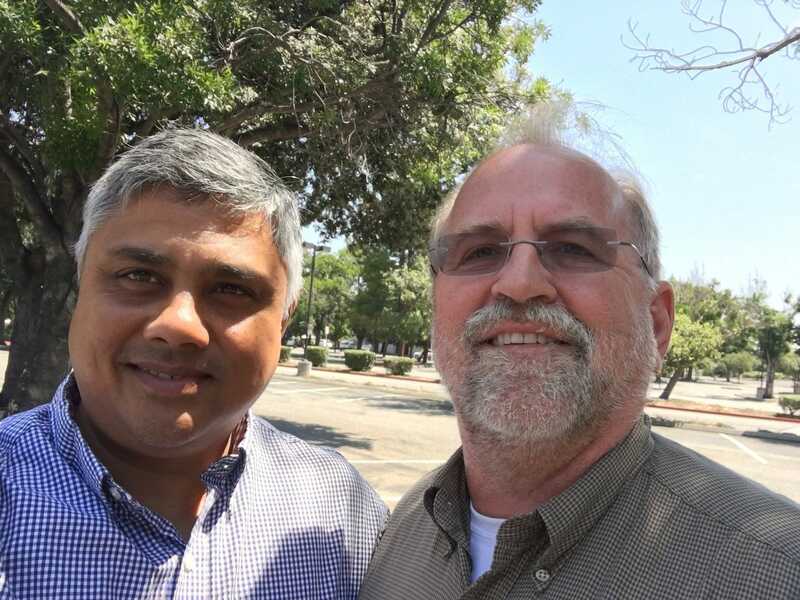 Sujai Hajela, Mist’s CEO, and Bob Friday, its CTO, met when they both worked at Cisco. Former Cisco exec Brett Galloway is a co-founder and chairman, too. Hajela was formerly the senior vice president of Cisco’s Enterprise Networking Group and Friday the CTO for Cisco’s Enterprise Mobility Strategy. 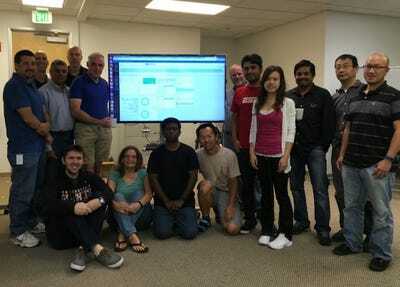 Their idea was to create a wireless network that does more than simply connect you to the internet. “Most wireless LAN technology today was designed before the smartphone even existed,” Mist CEO Sujai Hajela says. He should know. Cisco is the world’s biggest maker of wireless networking equipment. The two of them helped make it so. They led groups that built Cisco’s internal Wi-Fi products and they also were responsible for one of Cisco’s bigger acquisitions, buying Wi-Fi company Meraki for $1.2 billion in 2012. At Cisco, the two execs knew they wanted to go out on their own, and build a new kind of wireless network designed for mobile devices, but the key inspiration came from Hajela’s daughter. In 2014, before they tried to drum up a Series A venture capital investment, Hajela was talking to his daughter about his newfangled Wi-Fi product idea. She wanted a network that simply put information about wherever she was at her fingertips. “When she went to a mall, an amusement park, a museum or any social setting, she wanted the place to literally ‘talk to her’ about all the services it has to offer, with a high level of personalisation, and not spam,” he says. That idea that the network should “tell me more” became a major theme of the funding pitch deck and the company’s new product. It worked. The two raised about $14 million in a Series A from Norwest and Lightspeed, adding to the ~$500,000 seed round it had raised from Lightspeed. And the pitch has worked so for with customers, too. “We are in more than 20 commercial pilots today,” Hajela says. For example, Mist is testing a “wayfinding” app for healthcare patients that helps them navigate inside a health care facility and can schedule them for earlier appointments if they arrive ahead of schedule. Other pilots are in manufacturing, hotels, retailers, and conference facilities. The company now has 32 employees and Hajela’s daughter has also stayed involved. Friday has done a successful mobile wireless startups before. He joined Cisco when it bought the last Wi-Fi startup he founded, Airespace, for $450 million in 2005. Cisco had been watching Airespace practically since it launched in 2001, Friday told us. Wi-Fi was a young and growing market for Cisco in those days. Two months later the deal was done and he went to work for Cisco, helping it grow Airespace into a $2 billion business while nabbing more than half market of the whole Wi-Fi market. But he says he’s always considered himself a startup guy and is ready to do it again.